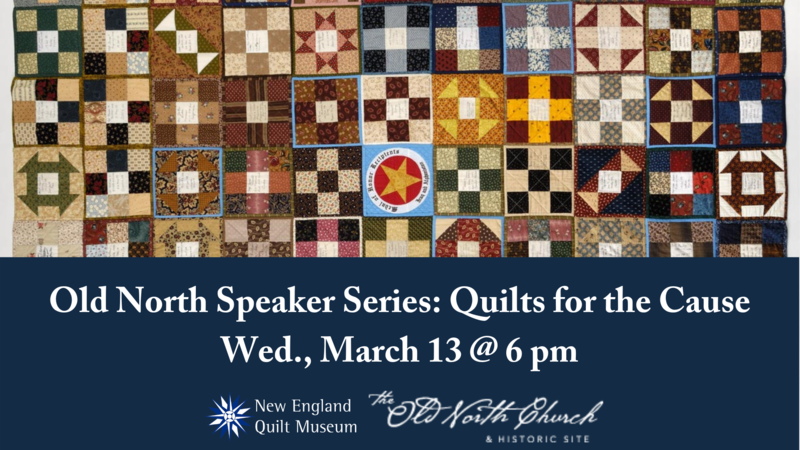 Afterwards, join us for a reception and Community Conversation with Pam and Sue Bleiweiss of Threads of Resistance for an intimate discussion on the parallels between the subversive and communal nature of quilting in the 19th century and quilting today. Our newest exhibition in Patriots Corner, Piece-ful Voices, will be on view in March in honor of Women’s History Month. Pamela Weeks is the Binney Family Curator of the New England Quilt Museum and works with quilters, collectors, institutions, and co-conspirators to plan exhibits and conduct research on the quilts in the museum’s collection. Two of her research projects have been published in Uncoverings, the peer review publication of the American Quilt Study Group. Her first book was published in 2011 on Civil War quilts made for soldiers, and two more are on the way.